The title of this article, the WPV Triad, is intended to be metaphor for the dominant dynamics of a plurality of workplace violence incidents. Obviously, workplace violence may include an abundance of other criminal acts outside of the tirade discussed herein. For example, even workplace property crimes have the potential to escalate into crimes of violence, including even homicide. Some episodes of WPV are spontaneous, and unplanned, while other episodes may result from detailed planning and preparation. Many acts are best described as irrational. Within the healthcare arena, the threat of WPV has caught the attention of several State and Federal regulatory agencies, who are increasingly becoming involved in the effort to reasonably mitigate WPV. However, because security is a situational discipline, specific universal standards may offer only partial solutions at best. This does not imply that goal setting is not praiseworthy. Additionally, the risk of relying on universal solutions, given the situational nature of security methodologies, significant vulnerabilities may be overlooked. Generally speaking, the healthcare industry has been on the cutting edge of the development of workplace violence mitigation strategies, applicable to both staff and the patients under their care. OSHA has published Guidelines for Preventing Workplace Violence for Healthcare & Social Service Workers. This publication, reflects the reality that the healthcare industry, when it comes to security, are always held to the highest standard of care for those who they serve. Episodes of workplace violence do not occur in a vacuum. Additionally, WPV is often less predictable then other forms of criminality as evidenced by active shooter episodes in places like Sandy Hook, Danbury and Columbine. Generally, opportunistic acts of violence are more likely to occur in areas associated with high crime rates. However, this pattern does not necessarily hold true for the purposeful and targeted acts of violence, especially pertaining to hospitals and schools. Parenthetically these entities are also more likely to receive wall to wall media coverage when violence does occur. WPV, like most criminal behavior, requires the usual preexisting conditions of motive, means and opportunity. This implies that motive, means and opportunity must therefore be anticipated, and reasonably mitigated. The challenge, from a crime prevention perspective, is how to specifically anticipate motive, means and opportunity in a manner to prevent, and/or minimize WPV. Many solutions are inculcated in effective security design, including CPTED, as well as the enactment of an effective security awareness programs, each of which must involve employee participation. Because security programs are site specific, security awareness programs must be situationally determined and reinforced through hands-on employee training. Frequently, post event analysis often recognizes that many WPV episodes, given 20/20 hindsight, were predictable, in the absence of perceptual tunnel-vision. 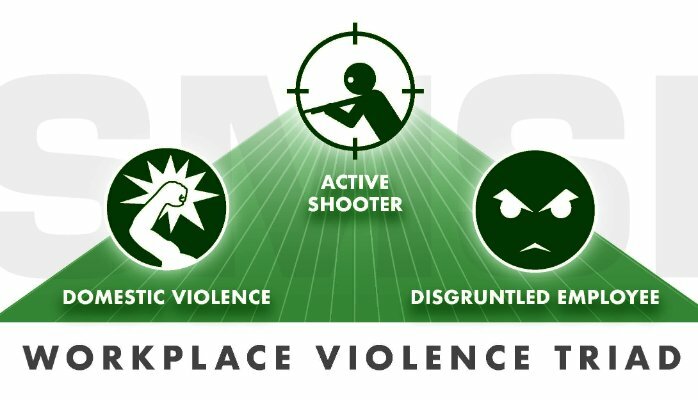 The WPV Triad broadly describes the modality and/ or casualty of many (not all) workplace violence incidents, all of which may not be mutually exclusive. Additionally, this triad is generally more applicable to industries that afford public access, and in this case, with emphasis on hospitals, malls and schools. Awareness of this triad provides a practical initial framework for reasonable prevention. From a criminology perspective, It therefore stands to reason that any mitigation strategy requires the consideration of motive, means and opportunity before-the-fact. As with most industries, the threat environment is often unique, in many ways, from one vertical to another. This article is primarily directed at the healthcare audience, with the understanding that the WPV threat affects many verticals. 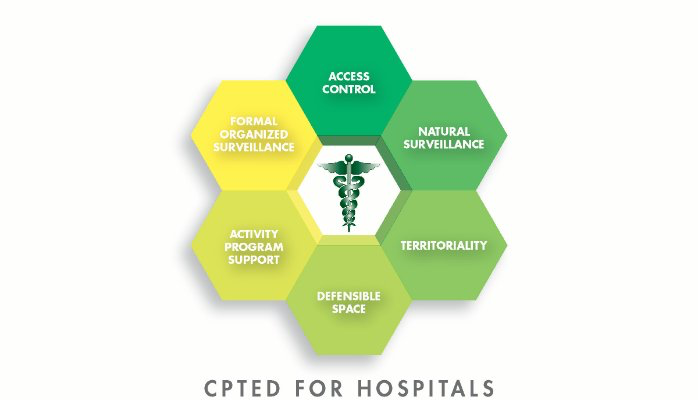 Relevant to the healthcare environment, there is generally ease of access (because of soft perimeter control), employee, visitor and patient density, and weak interior access management, with some exceptions (such as pharmacies). In the healthcare arena, WPV carries significantly high levels of potential liability. This requires situational awareness, including familiarity of the aggression escalation hierarchy. Situational awareness must consider local crimes rates, cultural factors and the level of ambient law-enforcement. A discussion of some examples will follow. For some, the inclusion of domestic violence may seem misplaced. Yet, it is not infrequent that we have seen examples of the domestic violence paradigm invading the workplace, specially within the healthcare industry, which, incidentally, employees a high percentage of female employees, coupled with a high percentage of female patients. This means there must be awareness of potential threats associated with orders of protection and/or restraining orders for both employees and patients. Characteristically, The irrationality of domestic violence has no boundaries. Many of these incidents have resulted in homicide. Domestic violence, in most cases, is driven by passion and irrationality (ask any police officer). The are no simple answers as to how to mitigate WPV. Context counts. Clearly the best first step is a comprehensive threat analysis and security review. The analysis of the ambient threat environment, should be followed by security awareness training. Feasible, mitigation works best when applied at the incipient stage, assuming that telltale clues are recognizable. Nevertheless, early recognition the WPV threat is often unavailable, especially in the case of active shooter incidents. The implementation of a robust Security Awareness Program (SAP) will provide cost-effective dividends. The mitigation of WPV is less costly than after-the-fact reaction, including the cost of litigation. With proper training, employees can be provided with the requisite skill-sets to recognize aggressive behavior at or even before the on-set of the incipient stage, as well as how to reasonably mitgate the threat, and/or summon security personnel before harm is done. In those cases, when WPV is committed by employees, after-the -fact, we usually discover missed opportunities for mitigation. This may include screening failures during the hiring process, or in the case of hospital patents, the failure to identify, upon admission, those patients who may be under pervasive threat as evidenced by protective orders. Additionally. on the mitigation side of the ledger, there organizations, such as AVADE (http://avadetraining.com/) that offer an excellent array of training programs for the early recognition and mitigation of WPV. All the effective WPV mitigation programs include multi-level training for most employees, from recognition of the threat at the incipient stage to managing a WPV event in real time. Because context counts, security design must be situationally determined. Security awareness training must include the ability to recognize potential threats at the incipient stage. This training should also include basis stage one (on the use of force continuum) recognition skills and basic de-escalation skills, including the notification of the security team. Obviously, need driven security design is important. Clearly the application of CPTED design is an important component. In part, the role of CPTED is to render the facility as a less likely target for all forms of criminality, including WPV. An understanding of Behavioral Psychology (B.F. Skinner) can be helpful. Security personnel, as well as employees must be taught to recognize, industry specific, early warning signs, such as the local threat environment . Even purposeful acts of violence, including acts of terrorism, are often preceded by reconnoiter activity, including photographic intelligence. Counter surveillance is enhanced by the technical capability of current video surveillance systems. The admonition: “If you see something, say something” is worthy of consideration. Most acts of violence are preceded by some form of incipient behavior. The ability to recognize specific clues is essential to any mitigation strategy. WPV mitigation strategies must also include effective security design, including the proper application of physical security technologies such as access control, video surveillance and CPTED design. Finally, once the security program is in place, the gathering of security information, and analysis of same, is vitally important. This includes the daily recording of routine security mitigation strategies, such as security patrols and the recording and analysis of security breaches. Products, such as REPORT EXEC provide and excellent platform for the recording of daily preventive security activities, as well as exception reports such as incident reports. Products such as REPORT EXEC. These systems provide the means by which to analyze emergency trends, provide the information required to take corrective actions and subsequently, analyze the impact of corrective actions. Systems, such as REPORT EXEC will provide the C-Suite with the data needed for security budget justification. When justifying mitigation strategies, hard data is a must. Budgetary justification requires hard data, including longitudinal trend analysis. Merely offering anecdotal opinion data is insufficient. Software such as Exec Report has built-in analytics. These analytics will not only identify trends, it will provide specific information to guide the allocation of scarce resources. These analytics will also quantify ROI.